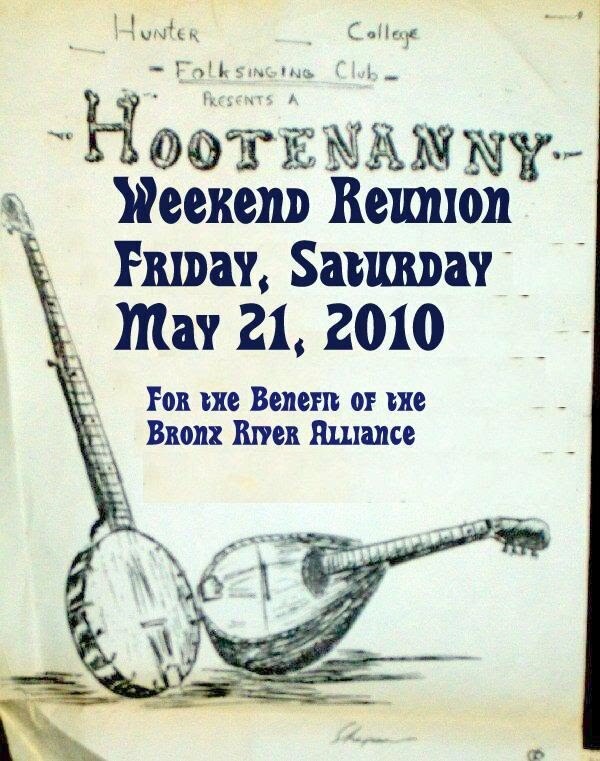 Welcome to the Working Web Site of the upcoming 2010 Hunter Hoot and Reunion. This is an ongoing document that requests your help in organizing this milestone event. Click on the items to the left to get more information and participate. The Bronx Hoot Reunion Concert is made possible with public funds from the Bronx Council on the Arts through the New York City Department of Cultural Affairs Greater New York Arts Development Fund Regrants Program, the Bronx Borough President and the Bronx Delegation of the City Council. Grisman, Andy Statman, Peter Wernick, and Eric Kaz. events. The outcome is the Bronx Hoot Reunion Concert. will feature the concert, a tour of the Lehman campus, and "jamming and canoe rides"
along the restored Bronx River.